With festival season in full swing, Getintothis’ Banjo looks back at ten years of one of the world’s best. This year’s Glastonbury was the 49th such outing since Michael Eavis first dreamed the festival into life back in 1970. Since then it has evolved and expanded into the huge undertaking that it is today – the Glastonbury of 2017 covers over 900 acres, generates £38 million pounds in revenue and features over 2,200 performances. 2017 was also my 10th Glastonbury. My first was back in the heady days of 1990, at the height of Madchester and with dance music exploding into the mainstream. Back then there was no Other Stage, no Silver Heyes or Dance Village. The World Music stage (now West Holts) was a tiny affair surrounded by trees. In fact, the number of stages with bands playing was just three. Yes, three! And perhaps more surprisingly, it didn’t sell out. When we got to the gate on the Friday we paid £32, were given a wristband and we were in. So, as a Glastonbury veteran complete with thousand-yard-stare and leg muscles of iron, just what has changed the most? And, following this curve of change, what is the future likely to hold in store? Well, as mentioned, the biggest, most visual change has to be one of scale. Apart from the Green Fields, 1990’s festival pretty much finished at the railway path, meaning no Stone Circle, no Glastonbury sign field and no Park Stage.The festival’s capacity was 70,000, which was a long way off the 150,000 it holds today but was still double the attendance for Reading Festival which, back then, was 35,000. Festivals in general have come a long way in the intervening years. The police presence was minimal back then, Glastonbury being far from the household name it is today. It was still possible to see stalls (or just people wandering around) with a menu of the different types of weed or acid they were selling. Back then the festival had a much more anarchic anything-can-happen feel to it. With stripped down cars spurting fire being driven around the main arenas by dreadlocked banshees, it was like being caught in a Mad Max film. A second stage was soon added, sponsored by the NME and bearing their name. The NME Stage, soon to be renamed The Other Stage, was a much-needed addition to the festival, providing a space for many more bands over the three days. The stage gave exposure to many new, upcoming bands, such as the single day in 1994 that saw sets from Radiohead, Blur, Pulp and Oasis. With no Arcadia, Lost Vagueness or Shangri-La to occupy the hours after the main stages had closed, it was left to illegal sound systems to plug the gap and give the thousands of wide eyed revelers somewhere to go. Underworld notoriously ran such a stage non-stop for three days, something that saw them receive a ban from the festival for many years. Other illegal sound systems were set up, such as that by Mutoid Waste Company which had to be reached by crawling through a fluorescent nylon tunnel. I’ve a vague memory of trying to navigate this and then reaching the rave area itself as it exploded into a riot of UV colours and pounding electro. Obviously things needed to change and accordingly a Dance Tent was soon added, a huge, 10,000 capacity open sided marquee that saw Plastikman, Carl Cox and System 7 play storming sets. Regulars of the Liverpool Techno club Voodoo created a meeting point to the left hand side of the stage and, pretty much any time of the day or night, Voodoo-heads could wander over and meet up with friends from back home. The popularity of this space meant that it soon evolved into the many stages of the Dance Village and then into the Silver Heyes spectacular that we now know and love. After Channel 4 started broadcasting the Festival in 1994, an estimated 80,000 people jumped the fence the following year, the TV broadcasts being essentially a massive advertisement for the festival. 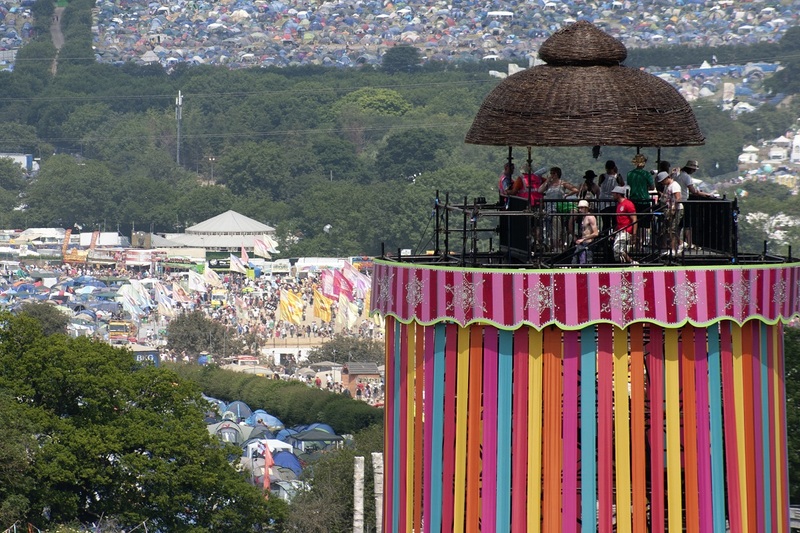 The dangerous overcrowding led to the construction of Glastonbury’s famous ‘super fence’, which was a condition of the festival being granted a license going forward. 1995’s Glastonbury was the last I attended for some years, as the cost had risen dramatically and now amounted to the same price as a week in Ibiza. So we swapped the acreage of Avalon for the beaches of the Balearics for the rest of the decade and took ourselves on holiday. In the intervening years, Glastonbury grew. And grew. 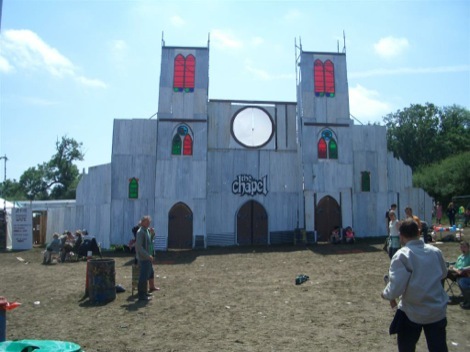 On my return to its hallowed fields in 2008, after an absence of some 13 years, the festival had become pretty much the colossus it is today. Glastonbury today is a different beast from my early attendances in many ways and, despite the oft- heard cry “it was much better back in the day”, most of the changes are very much for the festival’s good. There is so much more choice nowadays – more places to go, more things to be seen, more things to do. Plus the bars are better and there is a much wider range of food to enjoy. The number of ‘must-sees’ increases each year and each Glastonbury seems to feature some new addition, this year seeing the ‘drive in’ film area of Cinemageddon arrive in the fields. It is easy to form the impression that if someone were to approach Michael Eavis with an idea for a new area, they would be given a space and a budget and Glastonbury would evolve further. 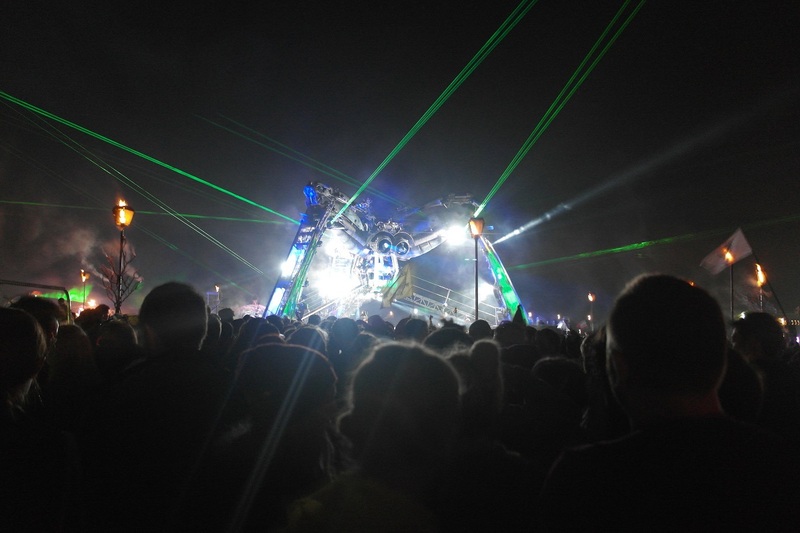 Glastonbury ‘s growth and scope has also meant that other festivals have had to up their game. My first Reading Festival had just the one stage, but these days that would simply not be good enough. 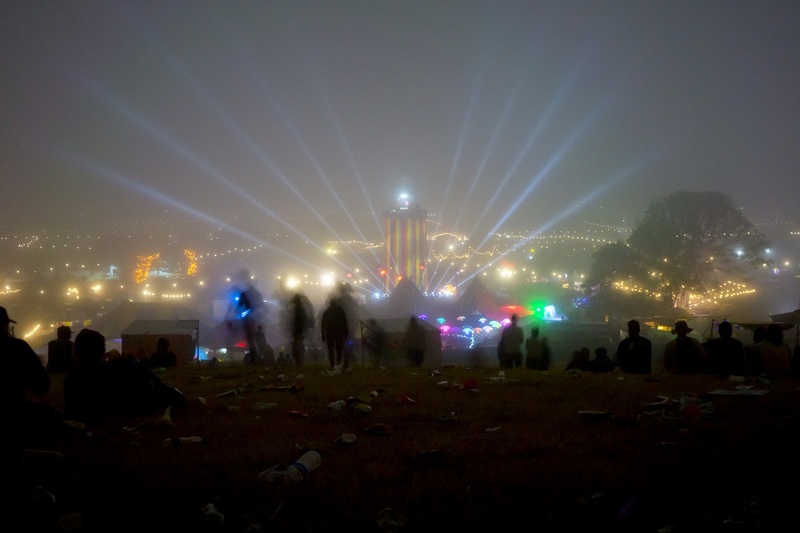 The Glastonbury effect has rippled through festivals the world over, and the punters are the ones who benefit. Something that has changed for the worse though is festival audience etiquette. Maybe it’s because people figure they are unlikely to see the stranger they are standing next to ever again and so they aren’t as bothered as treating them respectfully, as one hopes they would do at home. Maybe it’s just that Glastonbury has become a place to get as drunk and off your head as you can and concern for your fellow human beings is a casualty of this. Whatever the reason, there seemed to be more of a marked disrespect for your neighbour this year than I have seen at any of my previous nine Glastonburys and indeed at any of my 40+ festivals. 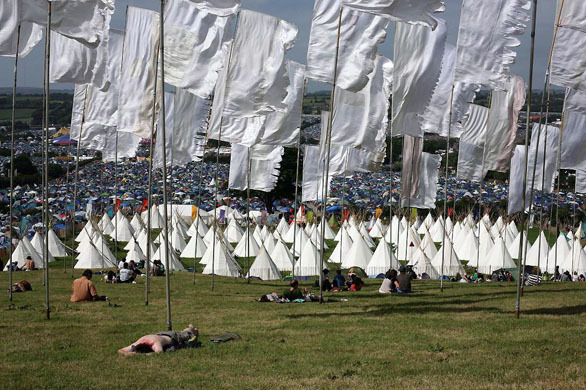 Maybe this is the way Glastonbury is headed, as people who have a history with the festival and perhaps and understanding of its ethos and approach are edged out by a new crowd, intent on a long hedonistic weekend at all costs. In truth there has always been an element of this, but in recent years this does seem to have increased. The number of people who leave their tents, chairs and other belongings behind them, drop their waste and litter all over the fields and are happy to drunkenly barge into people seem to be winning. As Michael Eavis hands the torch on to his daughter Emily, the festival is bound to change again. Emily was given The Park stage to practice on, and she has undoubtedly made a huge success of this. The Park has become another essential stage, home to many surprise gigs and one of my favourites on the whole site. Emily’s fondness for Grime saw her schedule the relatively unknown Boy Better Know as headliners for the Other Stage on Sunday night. Walking past this stage shortly before the band were due on I would estimate that there were around 300 people in the audience, a shocking figure for a stage that can hold 60,000 people. Mid-performance the attendance had increased, but still did not reach the mixing desk, less than halfway back. Compared to Rag ‘n’ Bone Man’s audience, who packed the Other Stage field out to such an extent that it was almost impossible to even walk around its edges and it is hard to see this as anything other than a failure. Undeterred, Emily is already talking about more Grime headline sets in the future. Maybe she will be proved right and Stormzy will take the Pyramid Stage by storm in future years, but maybe she doesn’t have quite the same populist touch as her father. Whether this would make Glastonbury an edgier, less mainstream proposition remains to be seen, but there can be little doubt that Emily has inherited her father’s spirit and love for the festival. Can the festival get any bigger? Well there are always changes and surprises at Glastonbury, but surely it must be at its limit in terms of size and audience numbers. Increasing the acreage would perhaps make it much more difficult to get around.There are regularly disturbing crushes at the Other Stage and on the road to the South East corner that houses Shangri-La, Block 9, etc. Any more people would make this situation more dangerous and untenable. But the one thing that we can learn from Glastonbury’s evolving is that it can always surprise us. So I, along with around three million others, will be keeping my fingers crossed and hovering over the Refresh button when the day comes to reserve tickets for the 2019 festival. See you in the fields.